A survey of chief financial officers (CFOs) with leading North American property/casualty (P/C) insurers indicates that both property and casualty insurance markets are hardening, demonstrating a shift in perception from two years ago. Some 75 percent of CFOs participating in the North American Property & Casualty CFO survey by Towers Watson characterized the property market as hardening, hard or at the top of the cycle Ã¢â‚¬“ a nearly 30 percentage point increase compared to the survey results two years ago. As for the casualty market, some 65 percent of CFOs said they see the casualty market as hardening, hard or at the top of the cycle Ã¢â‚¬“ a 52 percentage point increase compared to the previous survey. Towers Watson reports that a narrow majority of CFOs who consider both the property and casualty markets to be hardening also believe these markets will remain that way for the next one to two years (51% for property, 52% for casualty). Those who see hardening in the casualty market think it will last longer than in the property market. Only 15 percent of CFOs responding to the survey believe the property market is softening, while 10 percent said the casualty market is softening. Insurers’ perceptions of the market have changed considerably, from a glimmer of hope for a turn in the insurance cycle, to the solidifying of firmer rates we’re experiencing today. Towers Watson also asked CFOs about top challenges facing their businesses. Some 81 percent listed interest rates as their biggest economic and market environment concern, with natural catastrophes (44 percent) and inadequate rate levels (34 percent) next. Nearly half (46 percent) indicated they are responding to todayÃ¢â‚¬â„¢s economic and market challenges by realigning their investment portfolio, while 37 percent said they are expanding into new products or markets. U.S. homeowners insurance offers significant growth opportunities for personal lines insurers, as positive rate momentum is improving the outlook for many states, according to the Aon Benfield Homeowners ROE Outlook 2013 update. The study reveals strong growth in the homeowners line between 2009 and 2012, with direct written premiums increasing 15 percent countrywide. Only Nevada saw a decline in premium volumes, as written premiums decreased by 1.5 percent during the period. By comparison, personal auto direct written premium growth was only 6.5 percent during the period. The report concludes that insurersÃ¢â‚¬â„¢ prospective after-tax return-on-equity (ROE) for homeowners insurance is 4.6 percent on a countrywide average, and 8.0 percent excluding Florida. While the countrywide outlook is essentially flat relative to last yearÃ¢â‚¬â„¢s 4.7 percent estimate, at the state level, positive rate momentum is improving the outlook for many states, according to Aon Benfield. Some 36 states have prospective ROE outlooks better than the 8 percent average, and 28 states have prospective ROE outlooks 12 percent or greater. Positive rate momentum has been evident, as approved rate changes in homeowners lines have averaged a 7.7 percent increase across the U.S. over the past 18 months, the report finds. Gulf states achieved some of the highest average rate increases, particularly Texas, where rates increased 12.6 percent, while the hurricane-exposed state of Florida average rate increase was 8.2 percent. Check out I.I.I. facts and statistics on homeowners insurance. The Insurance Industry Charitable FoundationÃ¢â‚¬â„¢s (IICF) Week of Giving, an eight-day industry-wide volunteer event kicks off Saturday across the U.S.
During the week (October 12 Ã¢â‚¬“ 19, 2013), teams of insurance industry volunteers will provide three or more hours of volunteer service at neighborhood and community nonprofit organizations. Since 2001, the insurance industry has generated over 166,000 hours of volunteer service, serving over 150 nonprofits nationwide, and engaging thousands of volunteers in 36 states. The IICF provides online signup for volunteer teams and coordinates contact with the charities for which volunteers work. September brought a slight rate increase for U.S. companies buying property/casualty insurance, according to online insurance exchange MarketScout. MarketScout reported that the composite rate for commercial lines rose 5 percent in September 2013, up from plus 4 percent in August. Commercial property and general liability coverages led the way with rate increases of 6 percent, followed by commercial auto and business owners policies (BOP) with increases of 5 percent. By account size, the larger accounts paid less premium than smaller accounts in September, according to MarketScout. Small accounts (up to $25,000 premium) incurred average rate increases of 6 percent, medium accounts ($25,001 to $250,000) increases of 5 percent, while large accounts ($250,001 to $1 million) and jumbo accounts (over $1 million) saw increases of 3 percent and 2 percent respectively. The federal government shutdown that began on October 1 will have no impact on property/casualty insurer claims or sales operations, according to I.I.I. president and economist Dr. Robert Hartwig. In his commentary on the industryÃ¢â‚¬â„¢s 2013 first half results, Dr. Hartwig also noted that P/C insurers are well positioned to ride out increased financial market volatility attributable to the shutdown as well as the looming debt ceiling debate in mid-October. Profitability in the P/C insurance industry rebounded sharply in the first half of 2013. Dr. Hartwig noted that the improvement was propelled chiefly by growth in premiums, a reduction in catastrophe losses and favorable prior year reserve development. As a result the industry combined ratio fell to 97.9 in the first half of 2013 from 101.9 in the first half of 2012Ã¢â‚¬”leading to an underwriting profit of $2.3 billion. Continued and steady premium growth also contributed to the improved underwriting performance, as net written premiums were up 4.5 percent during the half, up from 3.7 percent gain recorded in the first half of 2012 and 4.7 percent in the second quarter. This marked the thirteenth consecutive quarter of growth and the longest continued period of growth in nearly a decade, Dr. Hartwig said. Another positive was that policyholdersÃ¢â‚¬â„¢ surplus reached a new all-time high of $614.0 billion as of June 30, 2013Ã¢â‚¬”up $34.7 billion, or 6.0 percent, from $579.3 billion as of year-end 2012. While a number of U.S. websites and Twitter feeds are unavailable because of the government shutdown, itÃ¢â‚¬â„¢s important to remember that the Atlantic hurricane season is still in progress. 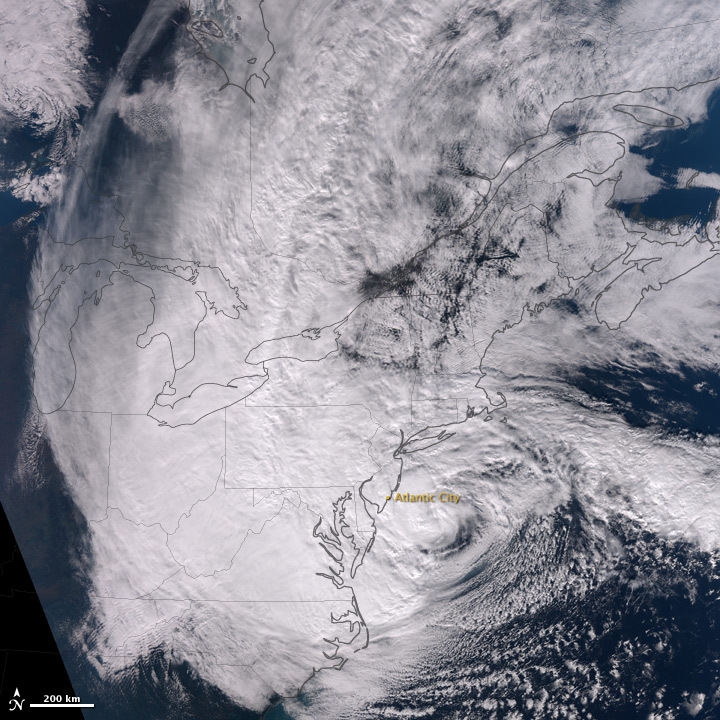 Even more important when you consider that last yearÃ¢â‚¬â„¢s season looked like it was wrapping up when Hurricane Sandy, struck the East Coast October 28-31. Note: Sandy was the third costliest hurricane in U.S. history. According to the NHC, showers and thunderstorms associated with an area of low pressure over the northwestern Caribbean Sea have become better organized and the system has a high chance Ã¢â‚¬“ 70 percent Ã¢â‚¬“ of becoming a tropical cyclone during the next 48 hours. Meanwhile, the NHCÃ‚ hasÃ‚ beenÃ‚ issuing advisories for Tropical Storm Jerry, though at this time it is nearly stationary over the central Atlantic and far from land. Read up on hurricane facts and statistics over at the I.I.I.